IF YOU-VE EVER VISITED THE Space Coast, you know all about the inviting beaches and the relaxed lifestyle along a 72-mile stretch from Scottsmoor to Melbourne. You might also think that purchasing a condo on this beautiful strand of ocean is beyond the realm of reality. You-ll change your mind when you hear about The Pier Resort Condominiums. With pre-construction pricing still available, this is the right time to invest in The Pier, located in beautiful Cocoa Beach. These ocean-front condos are just under 2,000 square feet and feature three bedrooms and three baths. The magnificent ocean views contribute greatly to the expansive feel. The words "location, location, location" have never been more accurate, according to Jennifer McCoy, who adds that The Pier is different because "it-s brand new, affordable and convenient." "Not only are the condos right on the beach, they are just steps away from restaurants and shops at the famous Cocoa Beach Pier," she says. World-class charter fishing, cruise ships and gambling boats are close at hand. If you tire of gazing at beautiful beaches, you-ll have the opportunity to watch space shuttles soar from the edge of the sea to the outer reaches of your imagination. And don-t forget that Walt Disney World and Orlando-s other attractions are less than an hour away. The Space Coast has much to offer. 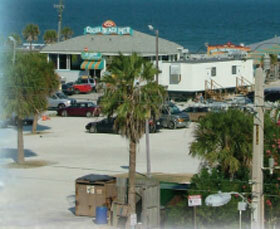 Spacious, ocean-front and located in a hot vacation spot, The Pier is more affordable than you might think. Pre-construction prices start at just $440,000. Is The Pier right for you? Contact Jennifer McCoy of McCoy- Freeman Group RE/MAX at (321) 720-6654, (321) 693-1694 or info@BrevardRealty-Connection.com, or visit www.Search-BrevardMLS.com.